More affordable than genuine leather, yet still classy and refined. This executive set includes an elegant vinyl portfolio and a sleek pen for a practical yet stylish promotion. Zippered vinyl portfolio features a unique interior gusseted organizer with pockets for all your business essentials, a pen loop, and exterior pocket for quick, easy access to important documents. Includes a standard-sized pad of paper. 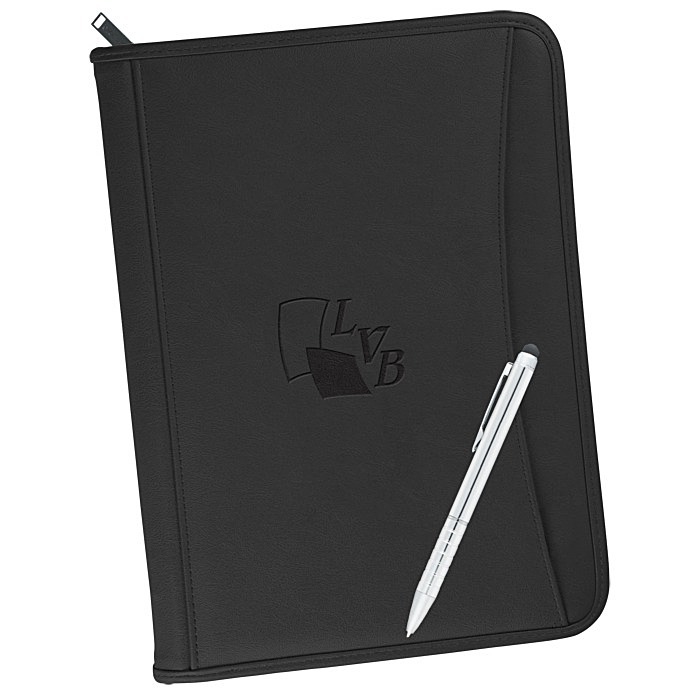 Elegant retractable pen features a matte barrel with polished chrome accents and medium-point black ink. Your price includes a debossed imprint on the front pocket of the padfolio.